With 14 7th and 8th grade students, PCMS science teacher Brad DeHoff earned the school's 20th state title, and its third consecutive Science Academic Super Bowl state championship last weekend. 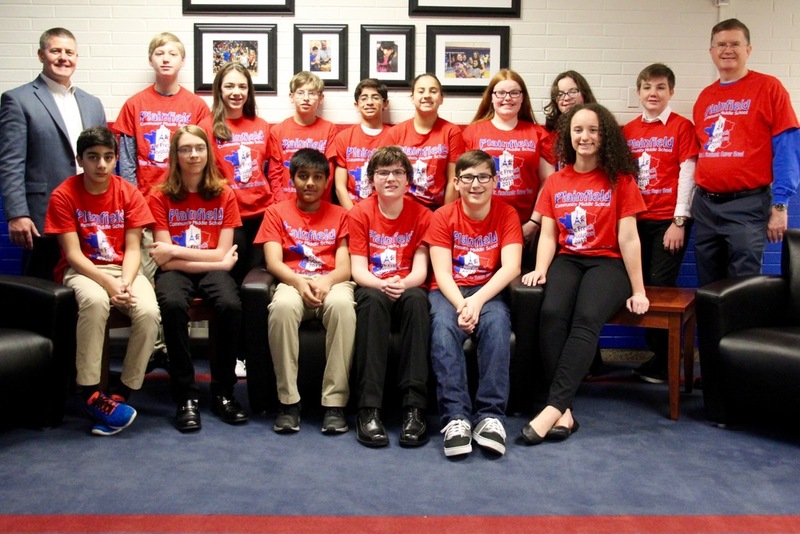 Competing on Saturday against 243 teams at regional locations around the state, the PCMS team answered questions on this year's theme, "The French Revolution." They studied French scientists, fossils, prevalent diseases of the time and the new-to-that-timeframe concept, balancing chemical equations. Students have been preparing for the Academic Super Bowl since November. Even during practices, the students are earning points that will later be used to determine, objectively, who the team captain will be. This year's team boasted three individuals at the top of the team, within two points of one another. During competitions, each team has three students are on the floor during each segment, and the captain is always present. There are a total of 25 questions. "Our students are incredibly hard-working," explained Coach DeHoff. "They put in a lot of hours, and probably a few sleepless nights leading up to the competition. I'm incredibly proud of them," he added. While the Science team won 1st place, the English and Social Studies team earned 3rd place and brought home a trophy of their own. PCMS now owns more state titles than any other school in the state. Congratulations to all of the PCMS Academic Super Bowl students!